Cirneco dell’Etna (plural Cirnechi) is a small breed of dog originally from Sicily. This hound was historically used to hunt rabbits and can work for hours without food or water. The Cirneco dell’Etna is a small hound-type dog used in Sicily for rabbit hunting and commonly called as the “Sicilian greyhound” when translated. It is found all over the Italian island and particularly in the area surrounding the active volcano, Mount Etna, where the dogs hunt on terrain formed by volcanic lava. Its presence in Sicily is noteworthy as one of the few ancient breeds that have undergone very little manipulation by man. Instead, the breed has been rigorously selected by nature for its ability to work for hours in the heat without food and water. Thus, the dog we have today is an extremely hardy breed, free from inherited health problems. The Cirneco dell’Etna dog breed also has a keen sense of smell and is primarily built for endurance over harsh terrain such as that of Mount Etna. 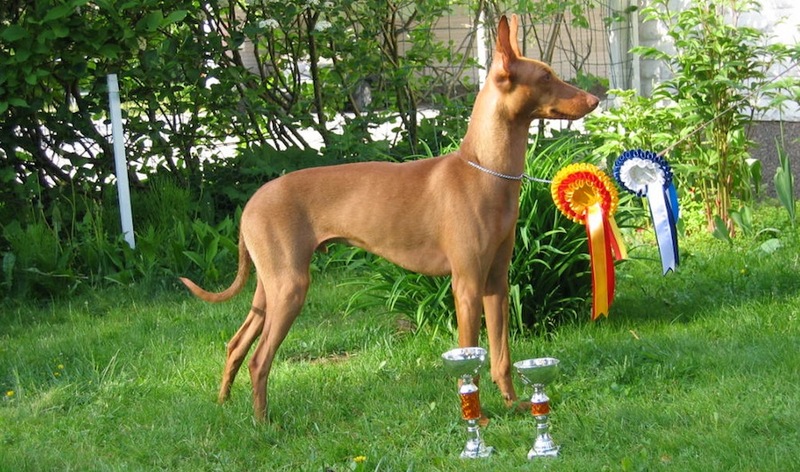 It is the smallest of the Mediterranean island hunting hounds, the others being the Pharaoh Hounds and Ibizan Hounds. Today Cirnechi are increasingly kept for the sport of conformation showing and as pets, due to their low coat maintenance and friendly nature, although as an active hound they do need regular exercise. A Cirneco dell’Etna should measure from 43-51 cm (17-20in) and weigh between 10–12 kg (22-26lb). As with other breeds, those from hunting stock can lie outside these ranges. Share your Cirneco dell’Etna story. Note: Upload only Cirneco dell’Etna picture or your picture with Cirneco dell’Etna below - spammer's ip may be blocked.